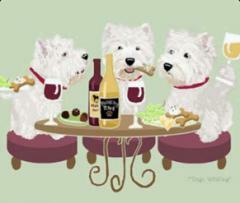 Dogs WINEING feature your favorite dog breed sharing a glass of Wine with their canine friends! 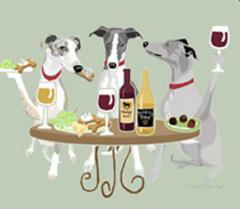 Sara England has been designing whimsical art with our favorite dog breeds for over 25 years! 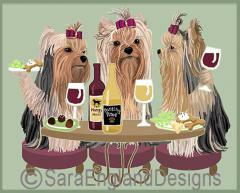 We are so excited to offer these wonderful prints to you - take a close look at them and you will see the gorgeous features of your favorite fur babies - enjoying a night out with their four legged friends! 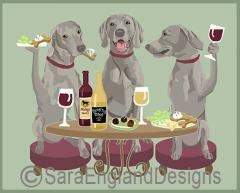 Our prints are available in 3 different sizes - and can be purchased double matted with a thin black inlay.